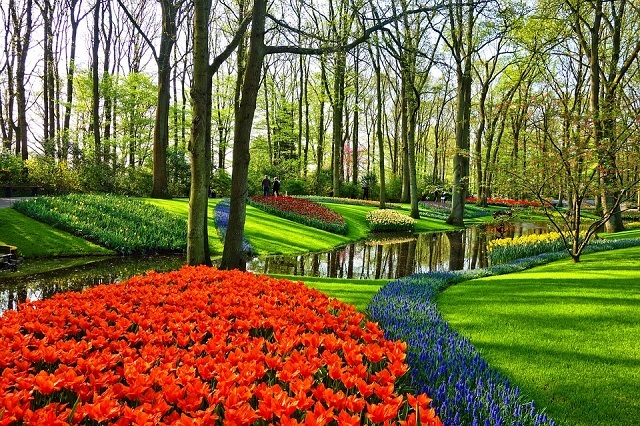 There are not many things that can be more beautiful than a neatly tended garden, and thankfully, creative and devoted people all around the world do create and maintain incredibly spectacular gardens that can amaze people at several different places on Earth. While naming the most beautiful gardens of the world is really something that is impossible to do, here we show you five incredible gardens that will blow your mind. For some reason, many people have a strange obsession with waterfalls, and even those who doesn't, the sight and sound of the roaring waters can be extremely appealing and exciting. While even those miniature fountains we put into our rooms can be beautiful in a way, our planet, of course, has much much more spectacular waterfalls. Whether you're a traveler who wants to see fantastic landscapes or someone who enjoys taking a glimpse into nature's wonders though your computer screen, the waterfalls we listed below will likely catch your attention. Full moon have always been regarded as something mystical - and from the ancient times to modern days, there are several hypotheses and beliefs that surround those days when a full moon can be seen of the night sky. While some might see it as a sinister foreshadow, others suppose it is somehow in connection with fertility or even certain mental conditions. But do the full moon actually have all these effects on our lives? How about a healthy tattoo? While tattoos usually hold aesthetic or emotional importance for most people, there are some great ideas that can make them useful, and even healthy. Thanks to the work of a research group of the MIT, tattoos could one day be used to help the lives of people living with diabetes.